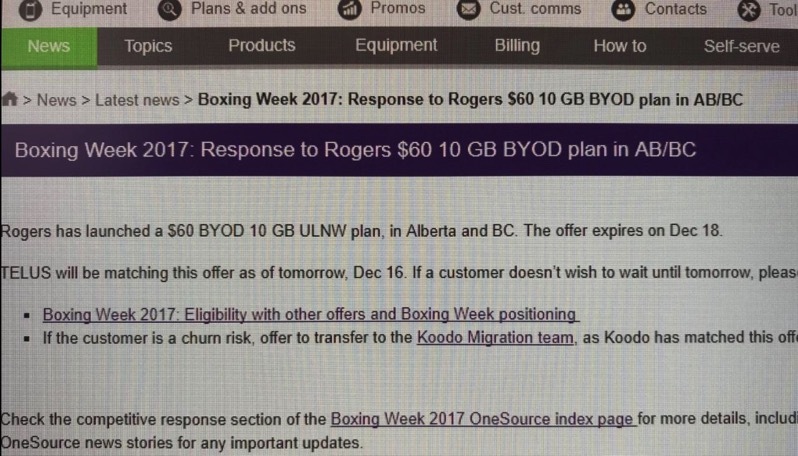 Telus and Koodo Mobile will see their $60/10GB promo plan expire on Tuesday, December 19 in BC, Alberta and Ontario for new and existing customers. This promo plan is on fire as everybody is trying to sign up for this rare wireless deal. Many customers are trying to reach Telus to switch over to the plan, but wait times have been long on both phone, online chat and social media. 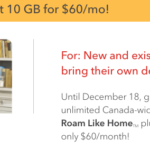 Earlier, Rogers and Fido confirmed to iPhone in Canada their $60/10GB promo will expire today for new customers (except for new BYOD sign ups in Ontario), but extended to December 19 for existing customers. Did you recently switch carriers for this $60/10GB promo plan? Click here to vote in our informal poll, which so far has seen nearly 5000 votes.